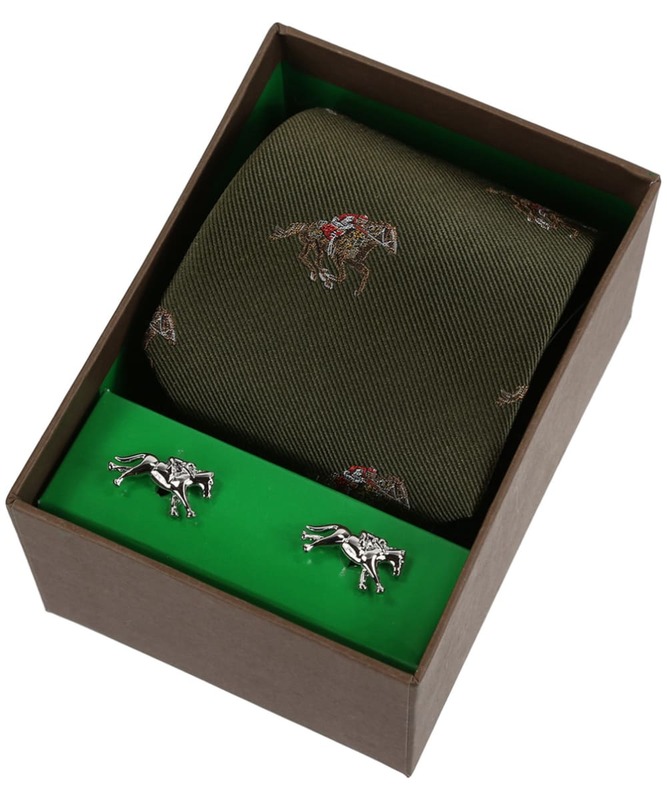 Get raceday ready with the Soprano Racing Tie and Cufflink Set! Perfect as a gift for the avid race goer, this Soprano set features a unique 100% silk tie, with a pair of matching cufflinks with distinctive racing flair. 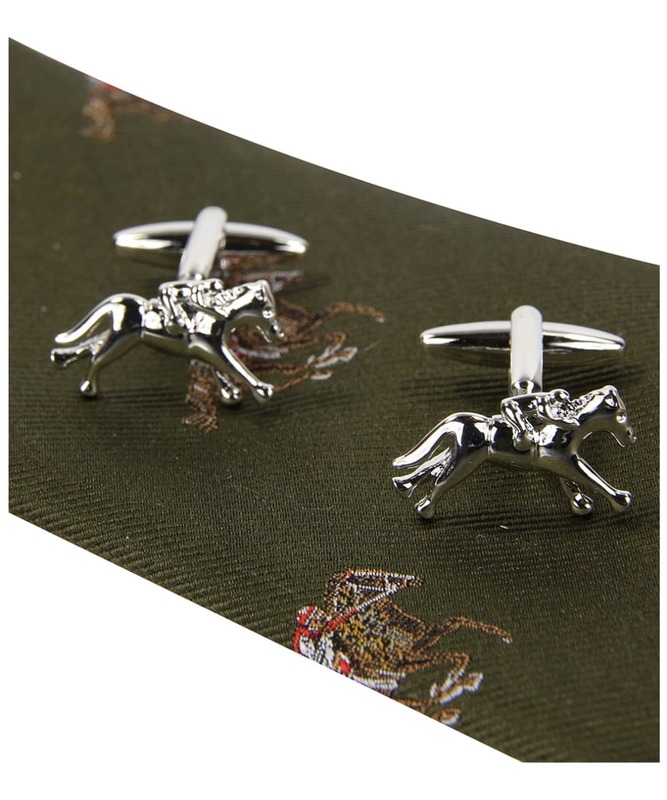 The tie features racing horse embroidery, while the cufflinks are also carefully crafted to a matching race horse design to finish the look.